Nate's Nonsense: What's the only state without a "flag?" Question: Quick, what's the only state without a "flag?" * Technically, Ohio's "flag" is a burgee. A burgee being a triangular (or swallow-tailed) piece of cloth usually used by ships in yacht clubs. As I was researching my previous post on Ohio, I became curious about its funny banner. 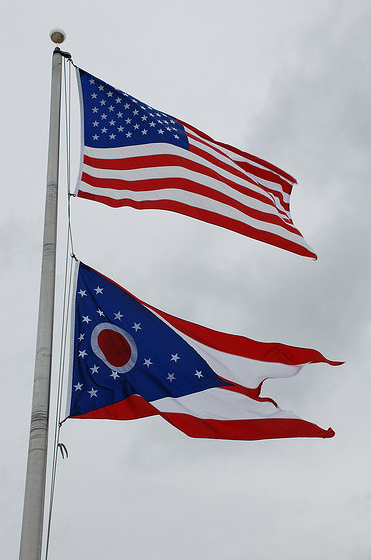 Most states have rather boring flags, you know the blue flag with the state seal in the middle, but Ohio definitely stands out! In 1901, Buffalo, New York was to be the host city for the Pan-American Exposition and Ohio wanted to showcase its commerce and culture with a grand building. John Eisemann, an architect from Cleveland, was hired to design the structure. And what better way to grab the attention of the crowds, but by flying a giant state flag from the top of the roof? Unfortunately, that's where Eisemann ran into trouble – Ohio had no state flag. So he designed one. Ohio was so proud Eisemann's work, they officially adopted the pennant in 1902. 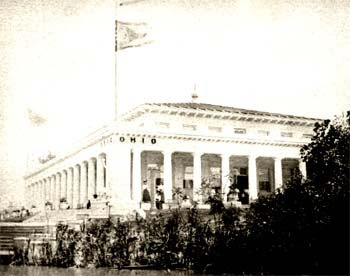 Thus making Buffalo, New York, the first place the Ohio state flag was flown. During the Exposition, the Ohio Building was even host to favorite son, President William McKinley! Unfortunately, the President was assassinated at the Expo, but not in the Ohio Building. That happened over in the Temple of Music. When was the last time you came across a tool as powerful as a SMS Gateway? Today, hundreds of thousands of businesses have automated their communication to keep up with the pace of the consumer-oriented world.